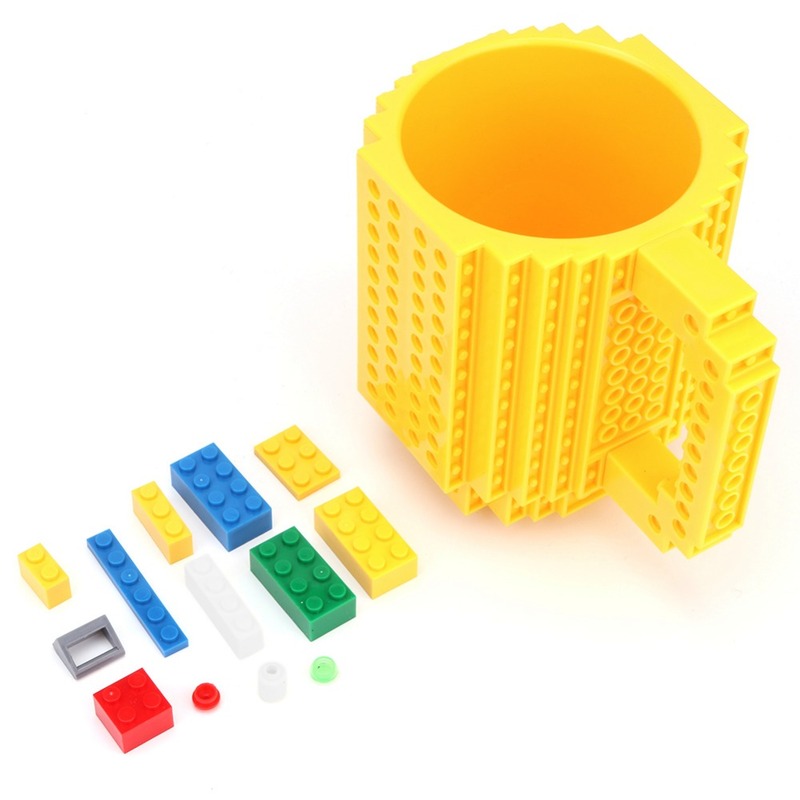 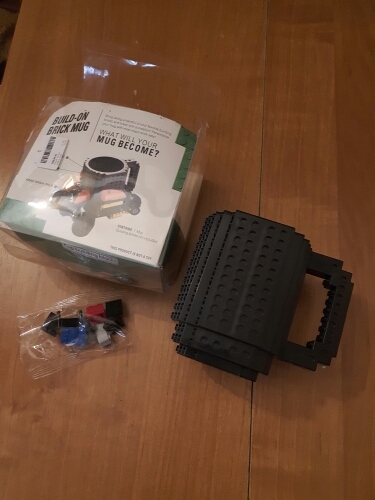 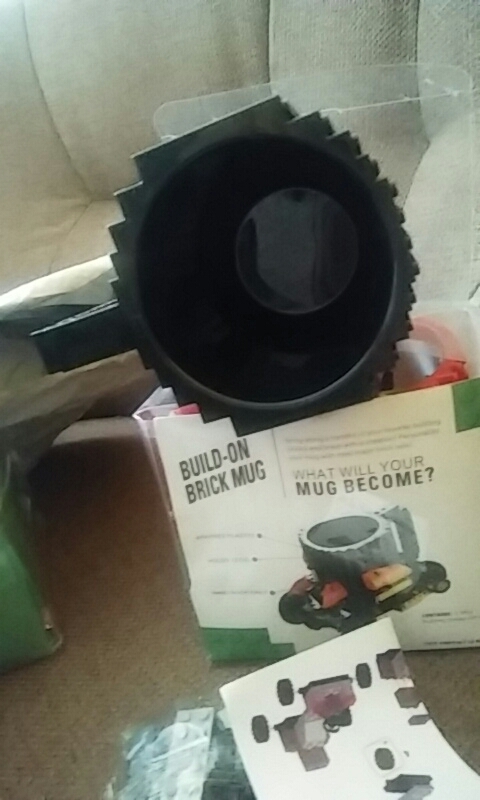 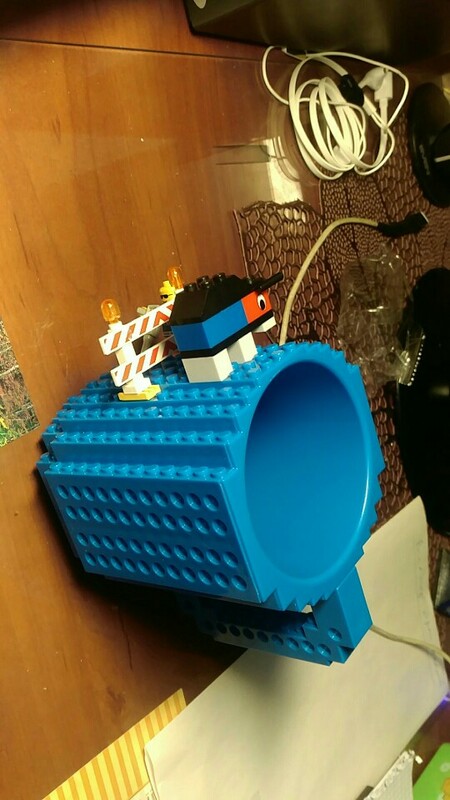 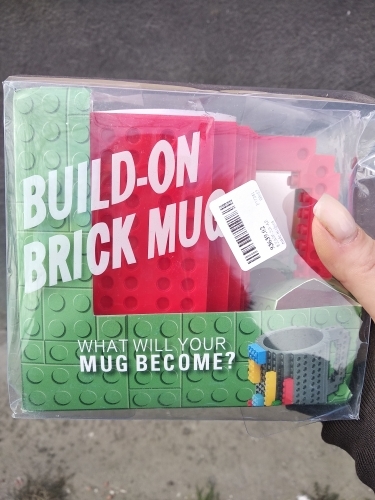 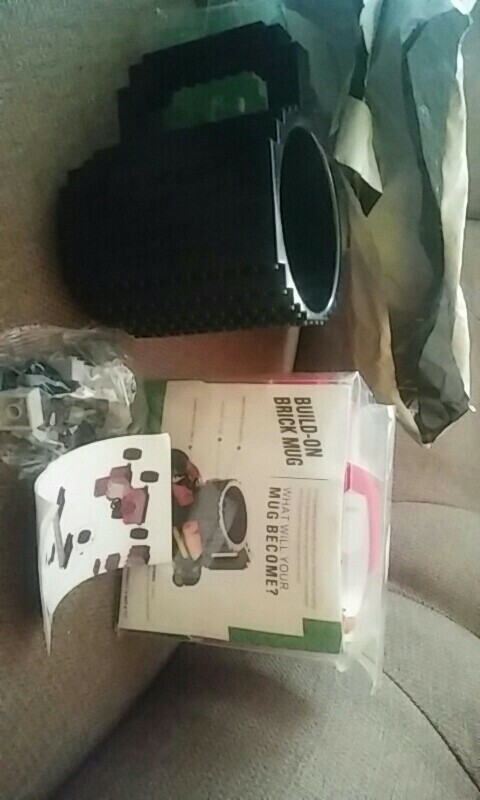 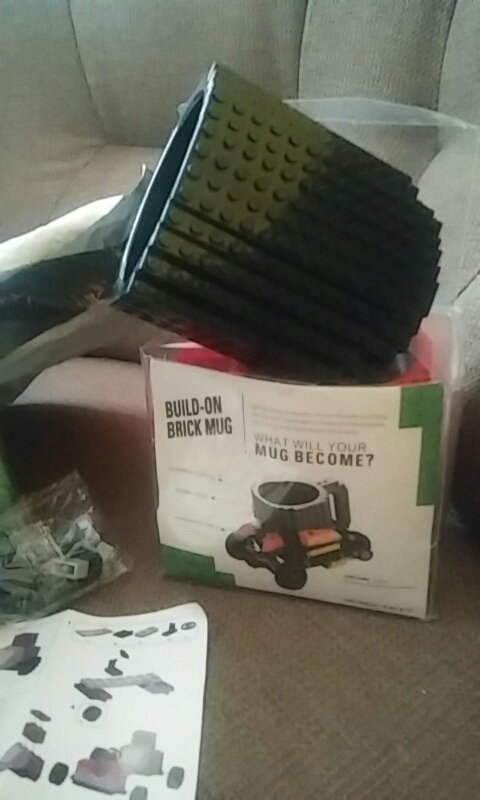 A coffee mug and construction set all in one! 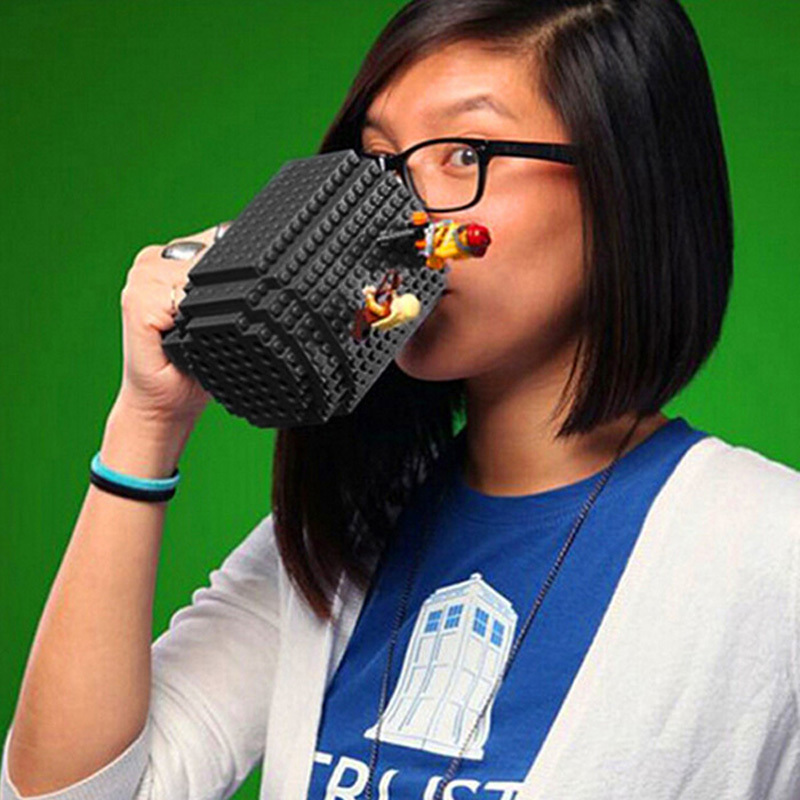 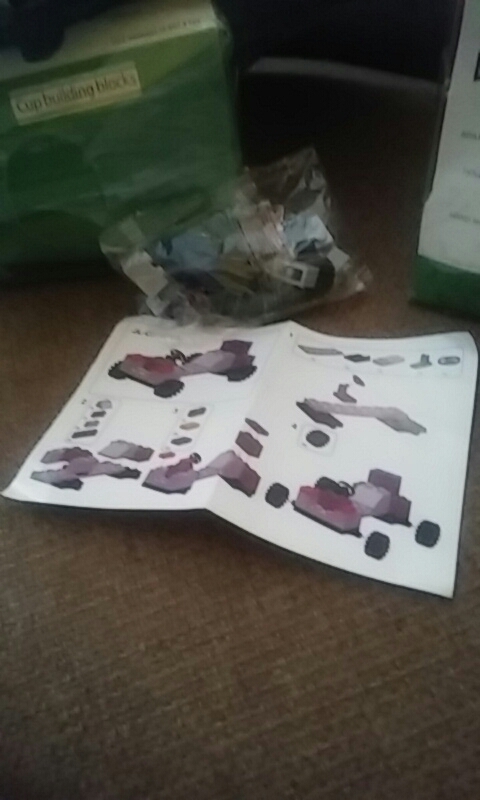 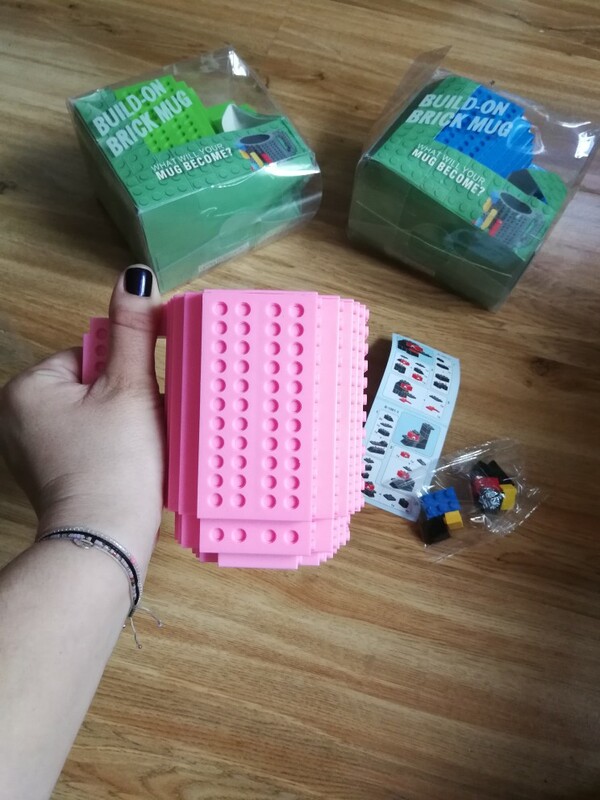 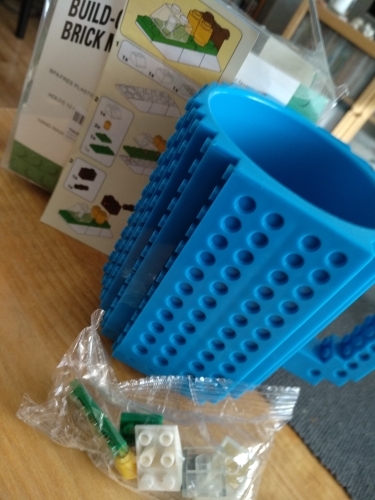 Play with legos and drink coffee at the same time, make your coffee break entertaining and fun. 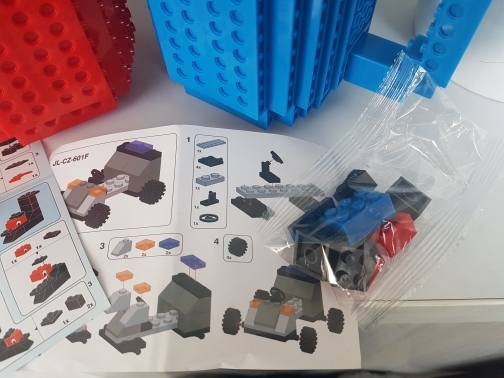 Bring out the child in you. 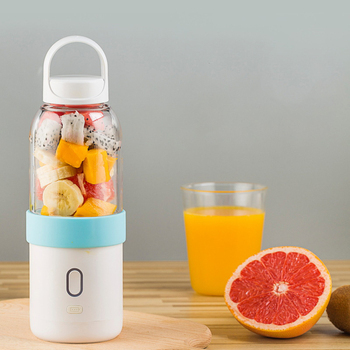 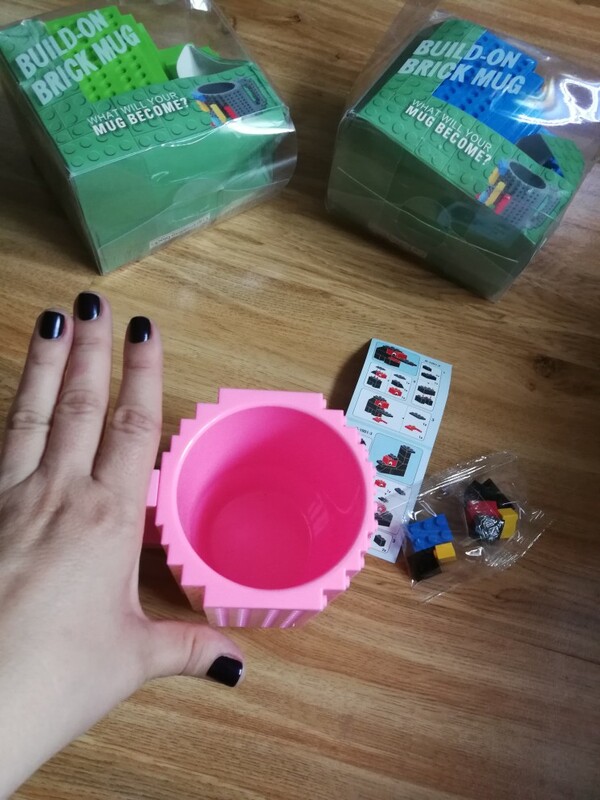 Built with food grade non-toxic plastic it is completely safe to drink from and play with. 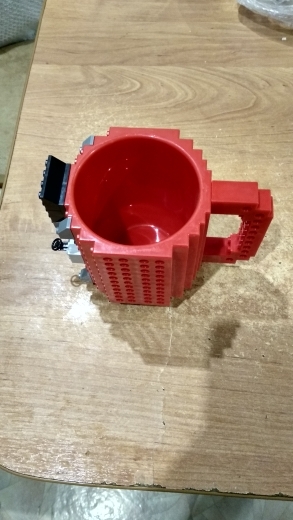 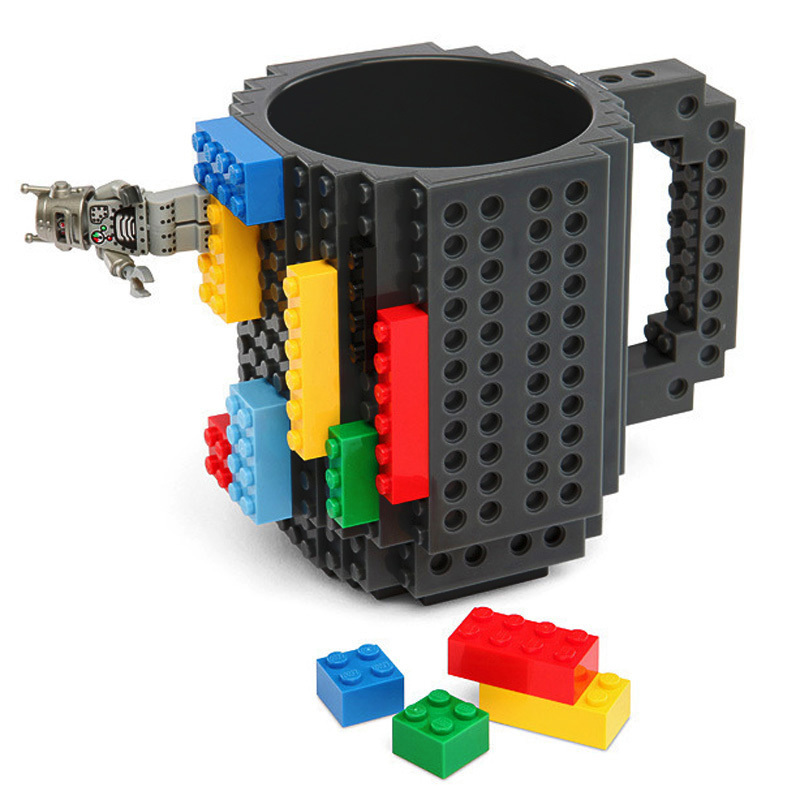 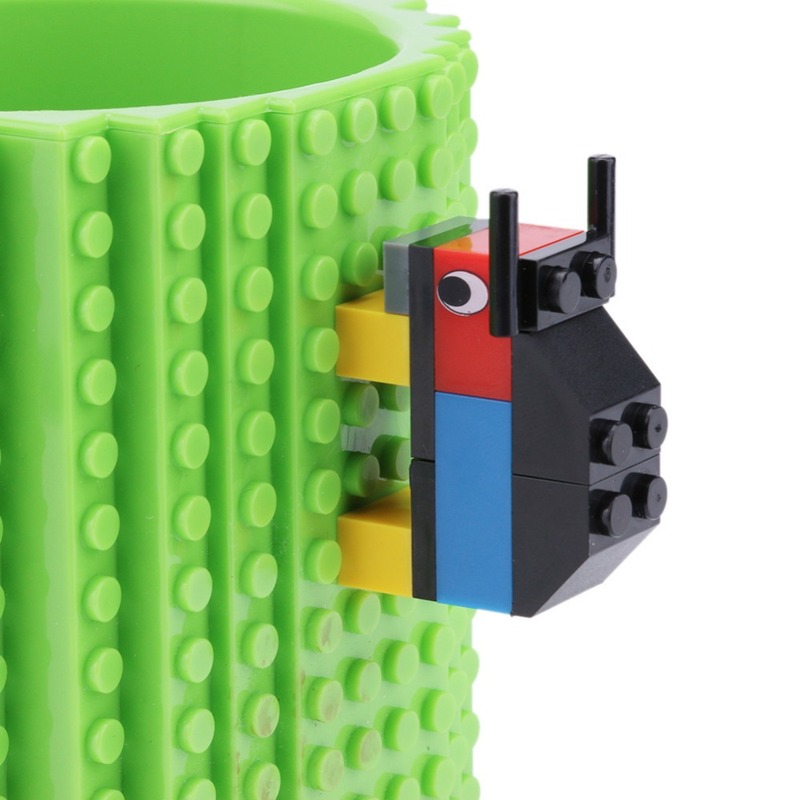 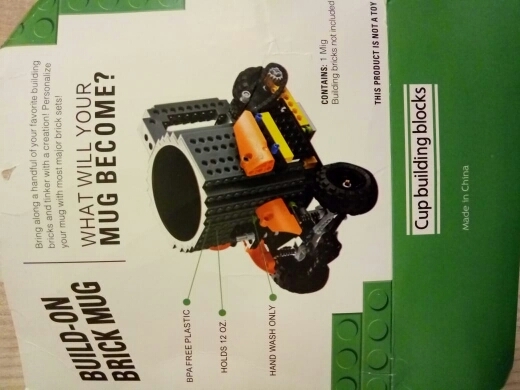 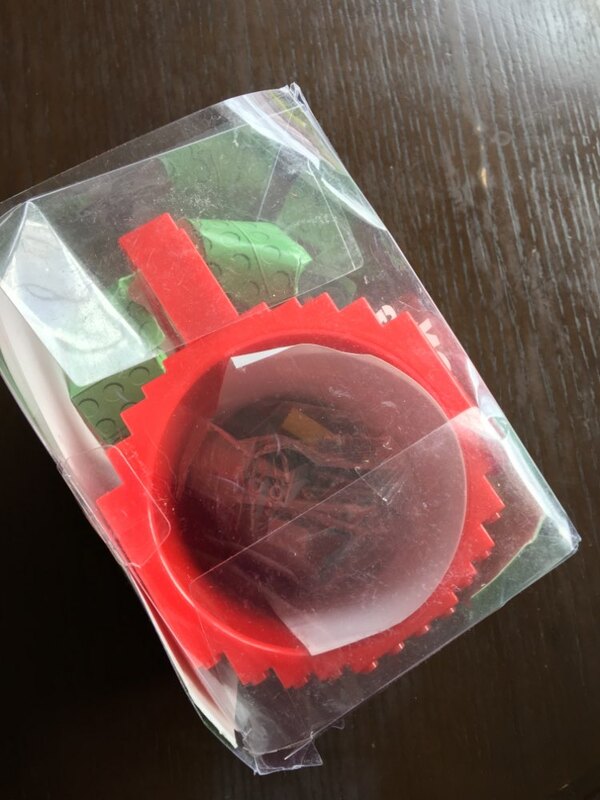 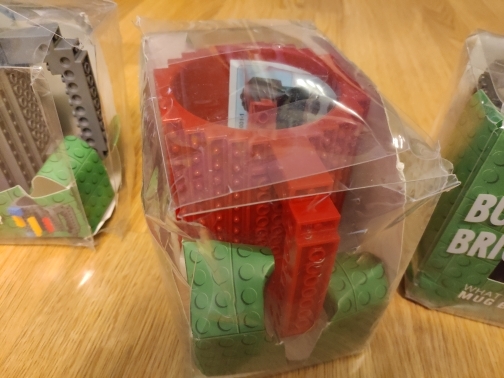 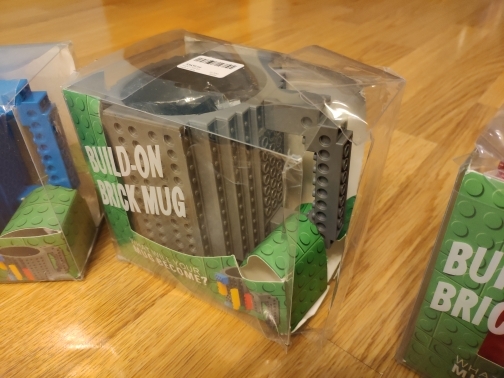 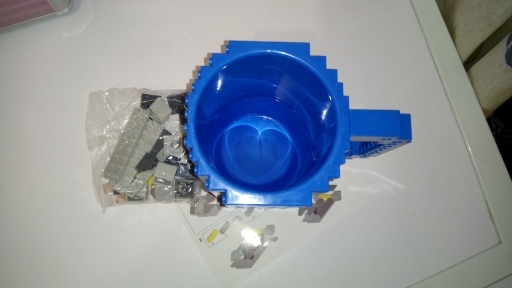 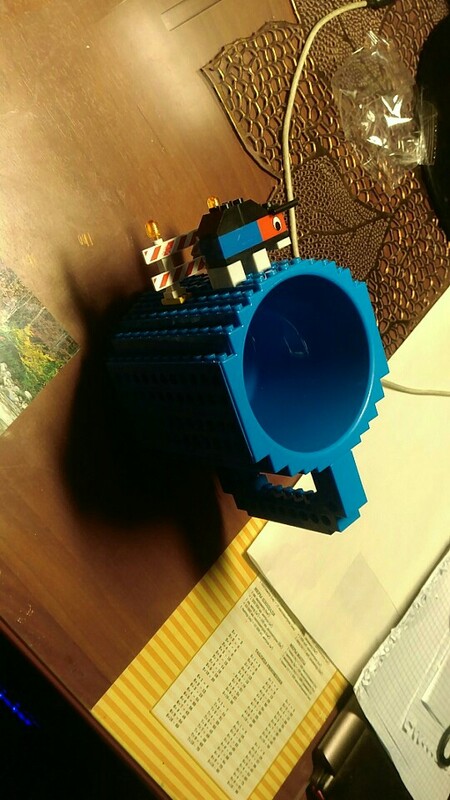 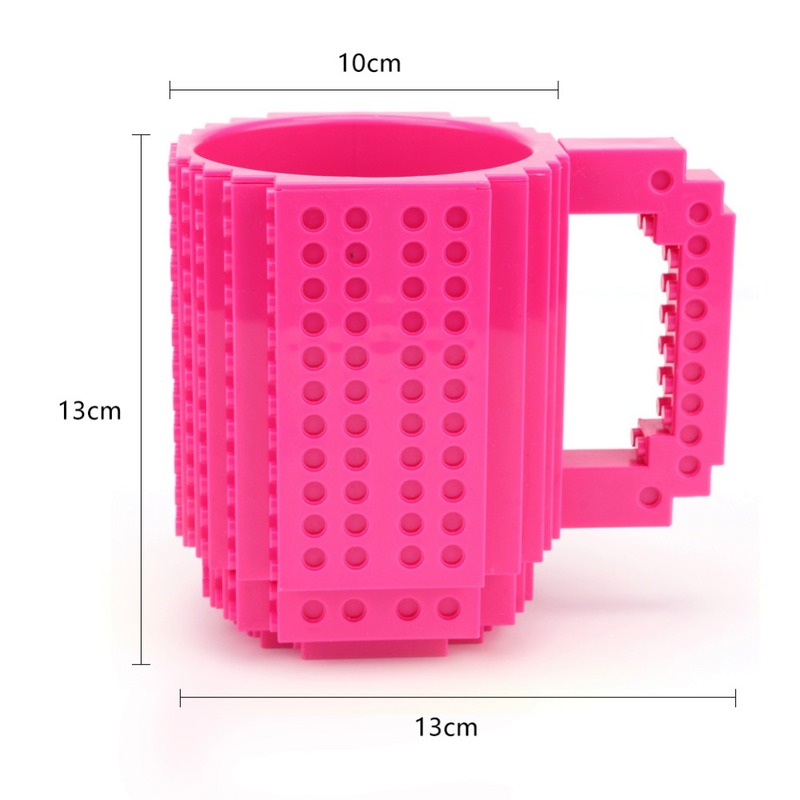 This mug supports various brands such as LEGO, PixelBlocks, Mega Blocks, KRE-O, and K’NEX. 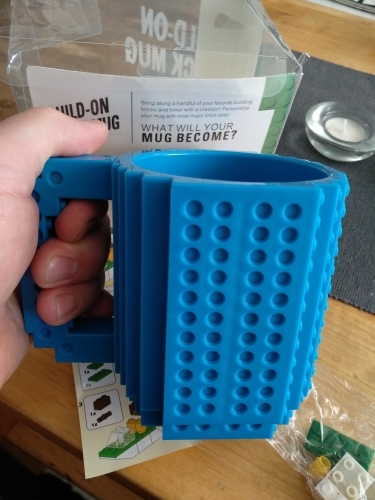 The capacity of the mug can take up to 350ml of liquids. Resistant to heat, so you can drink freshly brewed tea or coffee. Perfect gift for kids, to ensure they drink their glass of milk every day. 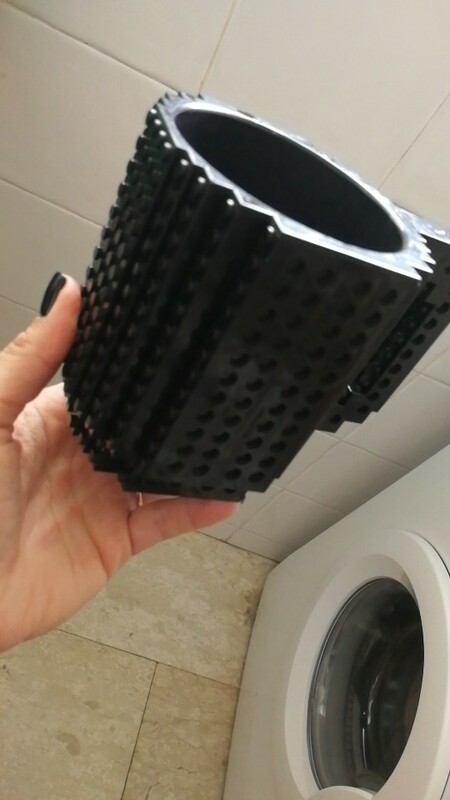 Puodeliai kokybiški, neskleidžia jokio kvapo. 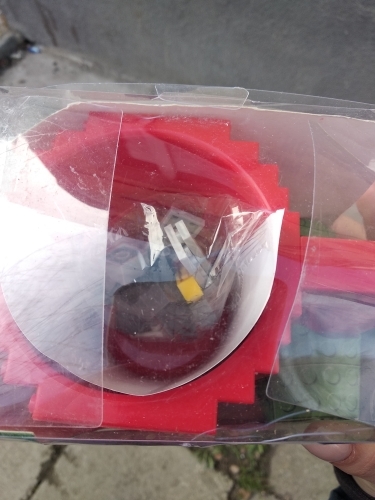 Pridėta smulkių kaladėlių papuošimui. 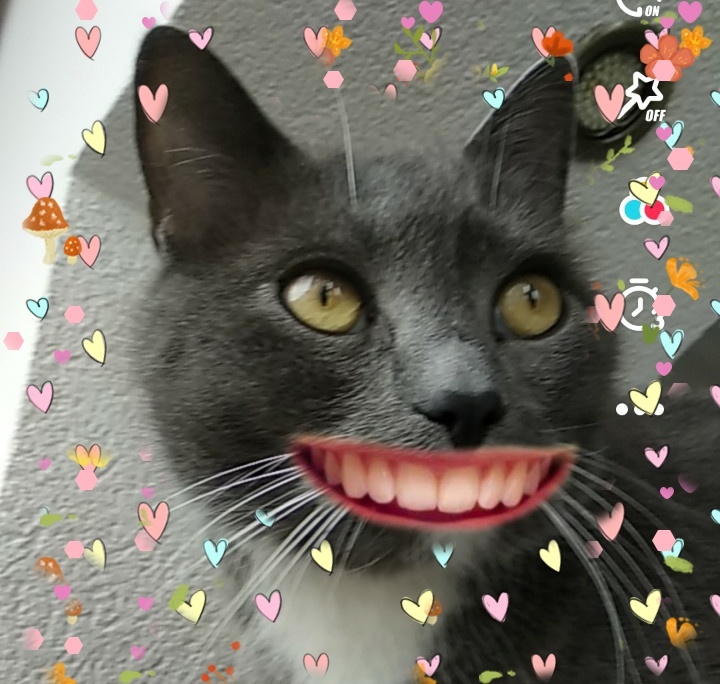 Supakuota šiaip Sau. 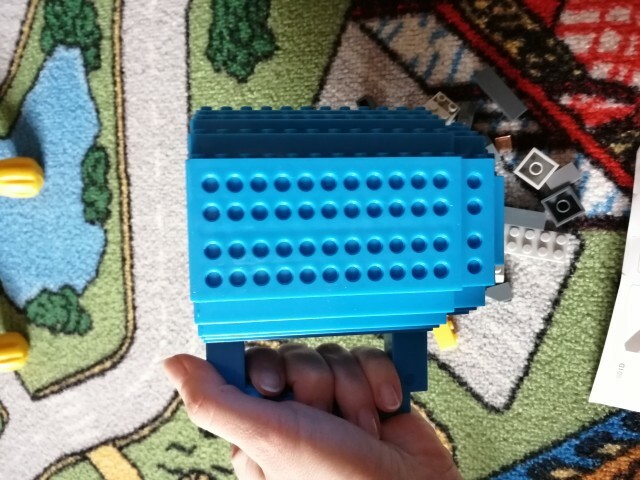 Atvyko typewriter maišelyje, puodelių pakuotė susilanksčius, sulūžus. 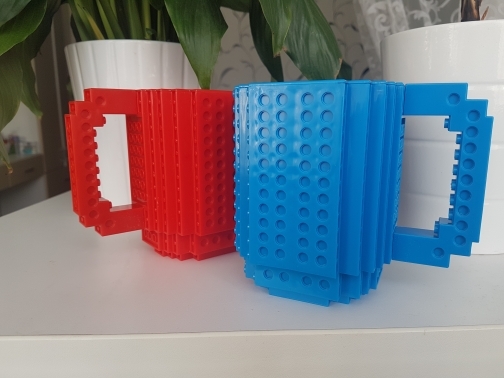 Jei perkate dovanai, Tai greičiausiai reiks perpakuoti. 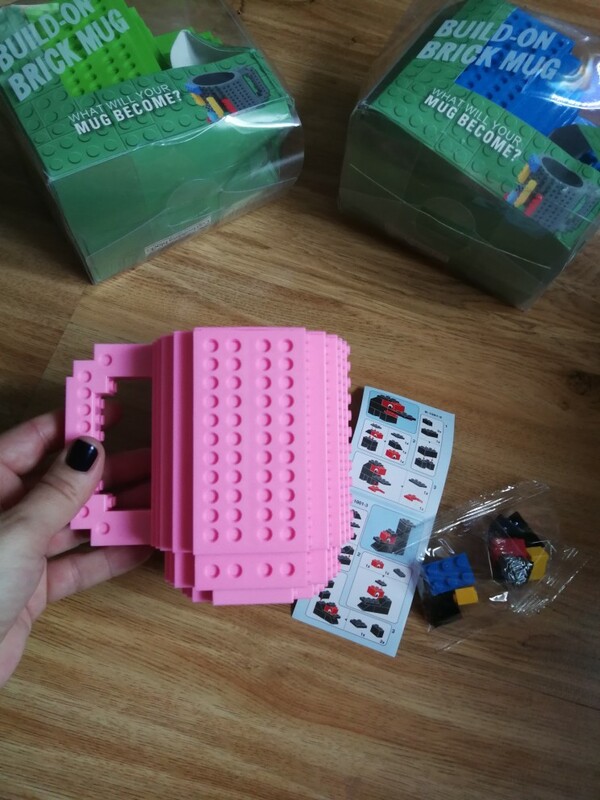 Poor packing quality. 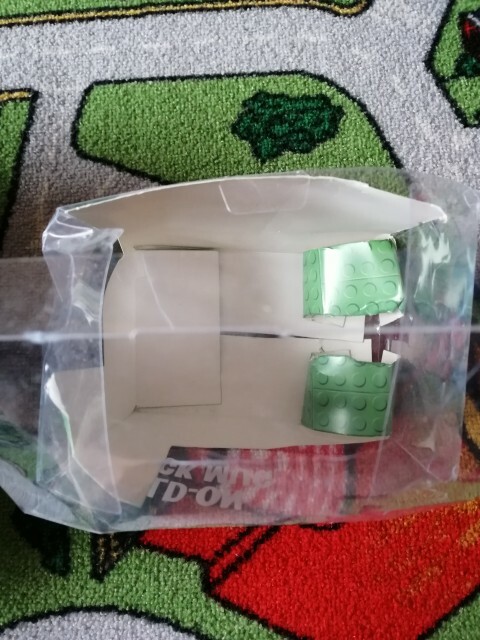 Package arrived damaged. 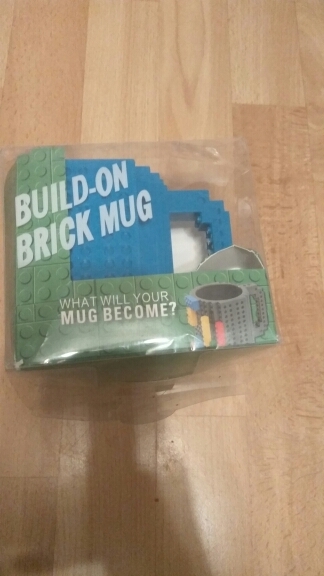 With mugs all fine. 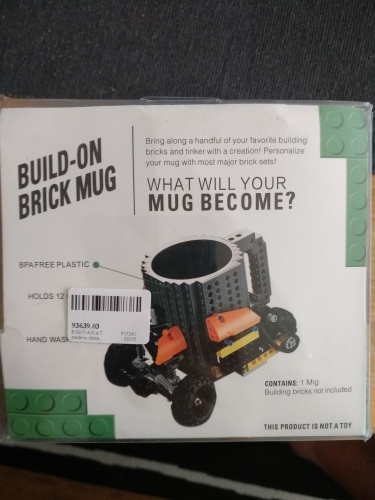 The store searched for a long time and sent my order. 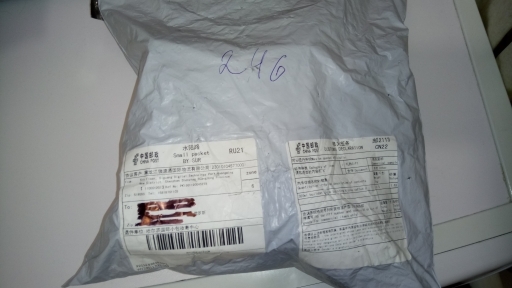 The parcel arrived in 25 days. 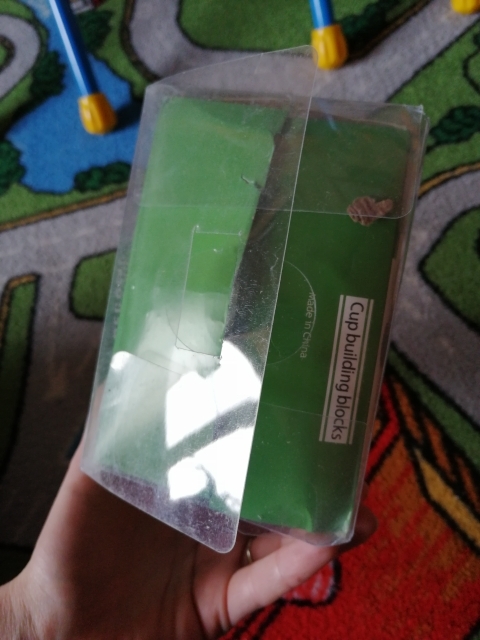 The packaging is sad, not protected, but in general the product itself is not damaged. A great gift to the child!))) 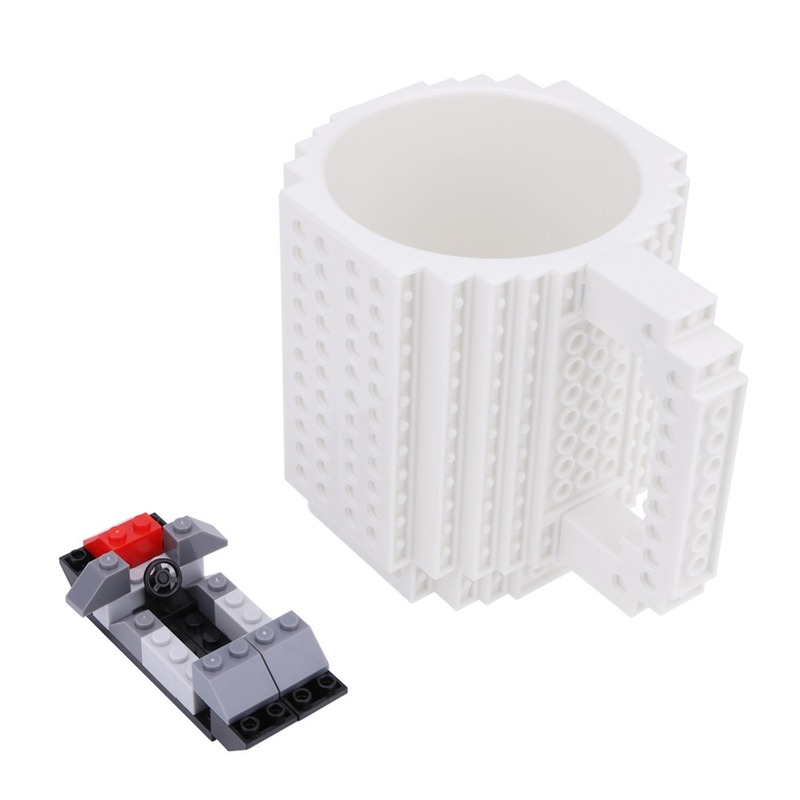 a mug of quality, there are no odors of strangers, the toy is small, as in the photo. 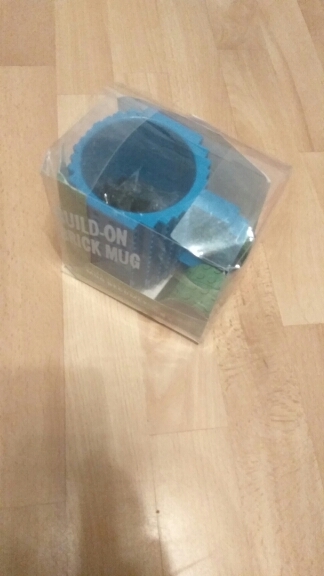 But-the mug came in a very crumpled box, unpresentable. 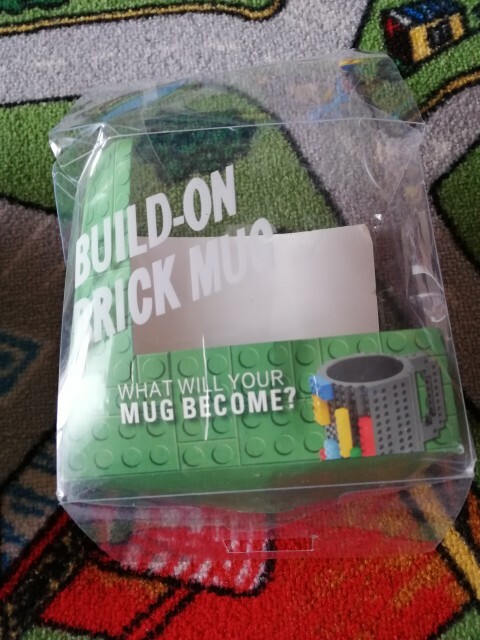 You can not give in this. 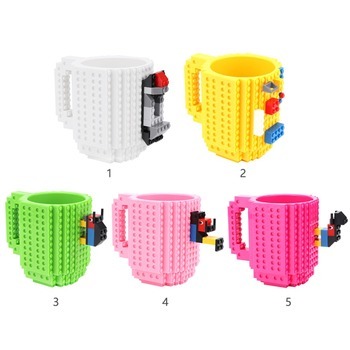 Mugs are very good, inside a small set of details. 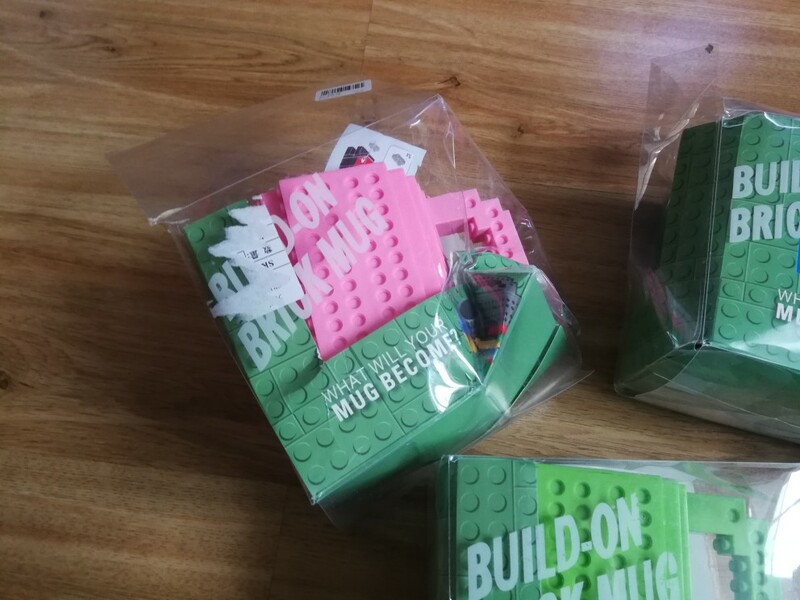 Packaging when delivered broke, but the mugs themselves did not suffer! 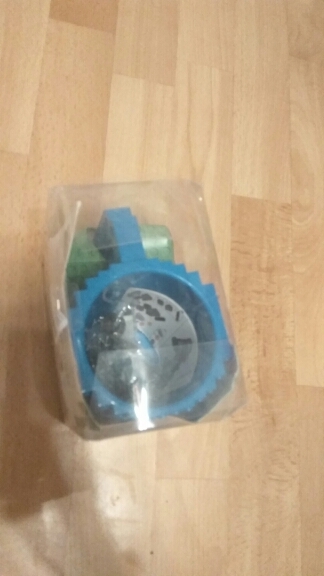 It came about a month, packed in a plastic envelope and a plastic box, which during transportation was damaged, although not critical. 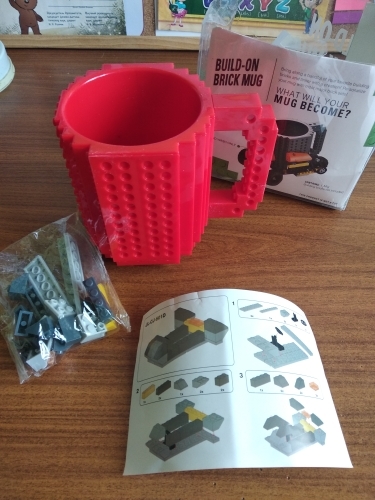 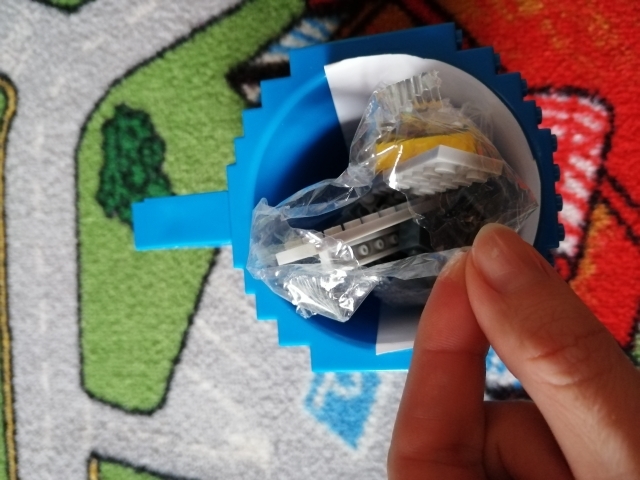 The volume of the mug is quite large, and although the package says that it is like for food, i would not allow to drink from it to the child. 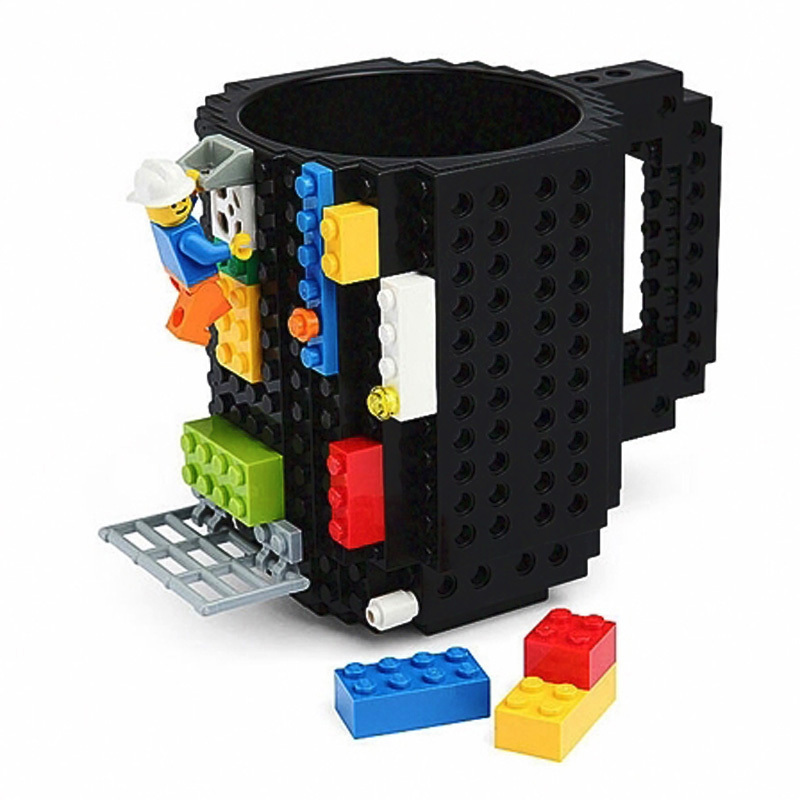 In general, as a kind of toy for children lovers of designers thing in themselves. 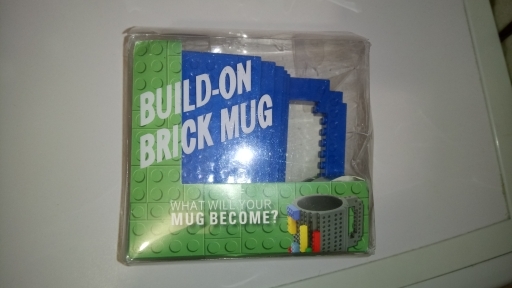 You can take it. 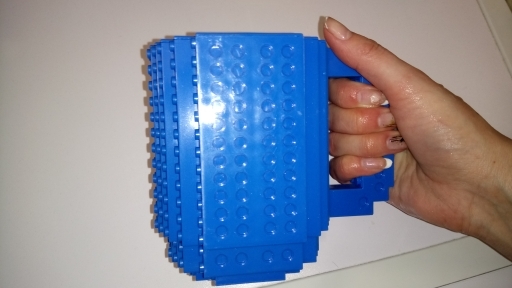 To understand the size on the last photo of the mug in his wife’s hand. 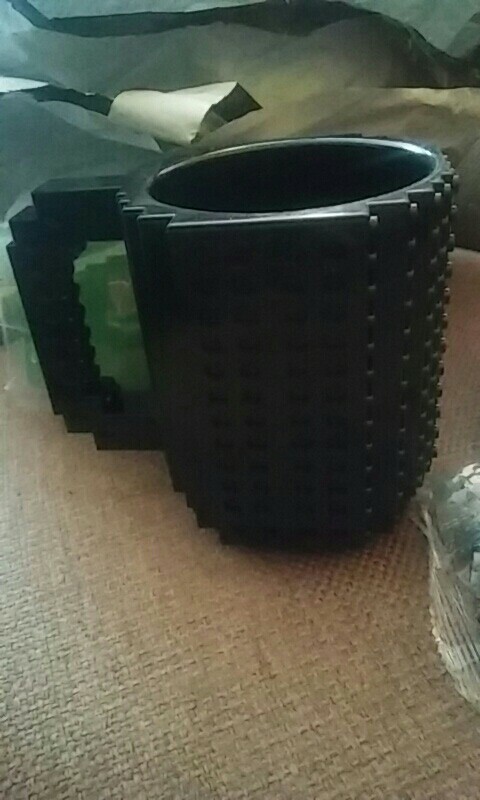 The mug is big. 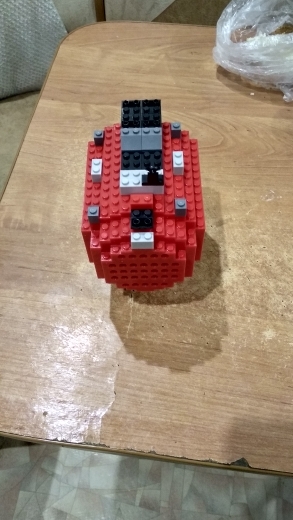 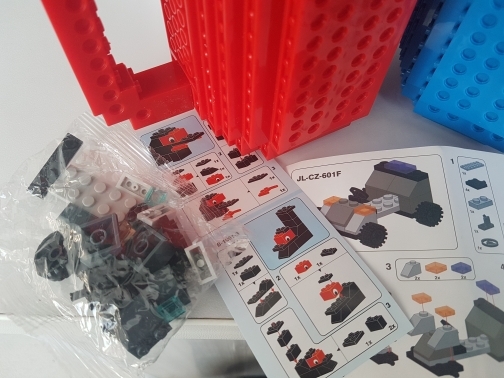 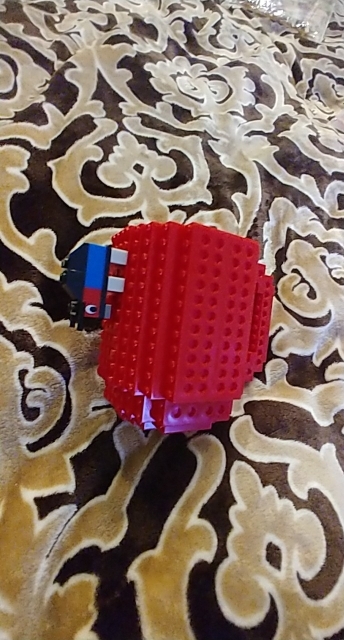 My lego got up as a native))) i advise!! 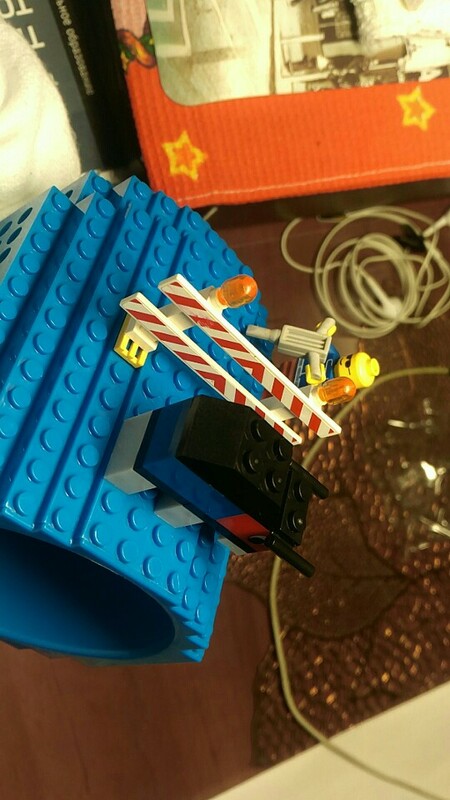 It was a month, the store answers, the track is tracked, only for a week knows where hung then in eburga announced. 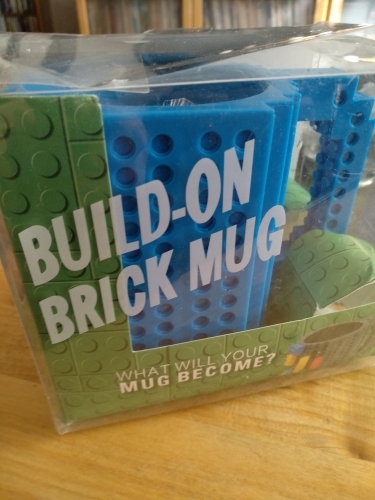 really good mug. 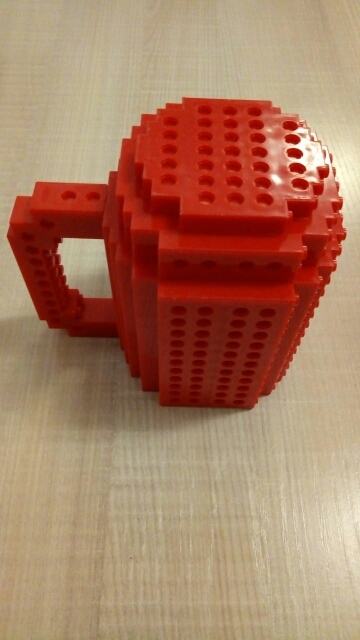 My sone likes it. 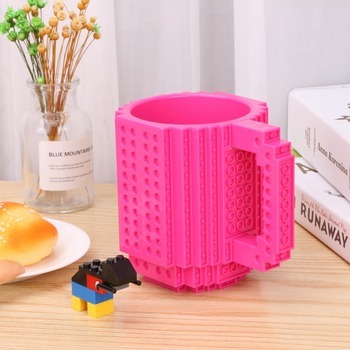 It’s suitable for pencils or milk. 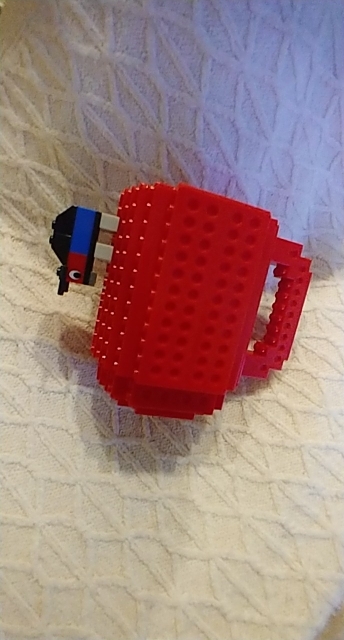 I suppose not for hot tea. 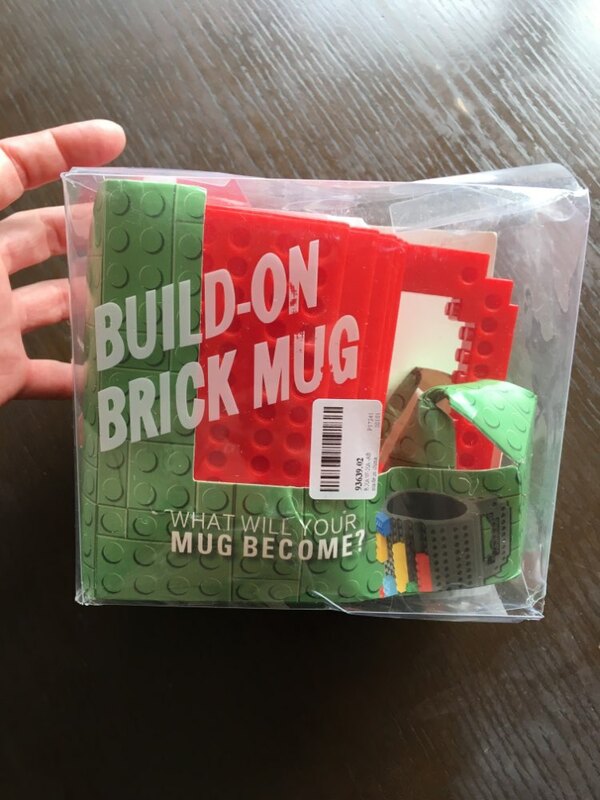 it’s plastic. 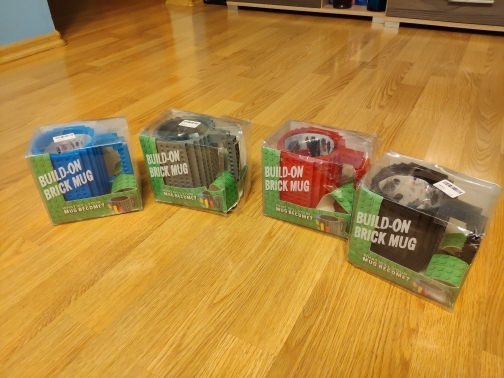 it doesn’t have bad smell. 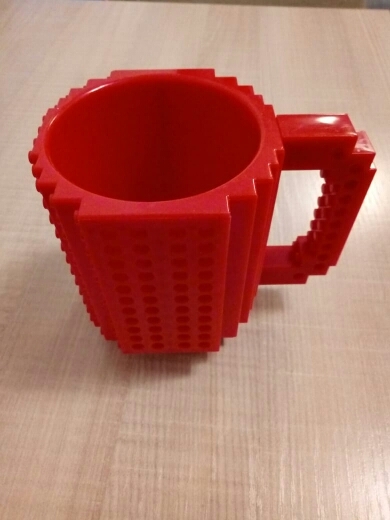 Very cool cup, the son is just delighted, has already done something unimaginable!! 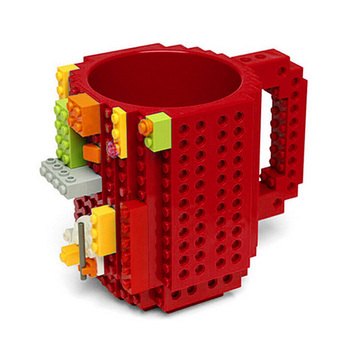 Interesting mug. 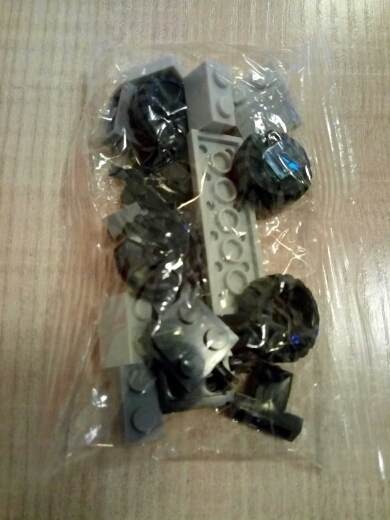 Packaging damaged. 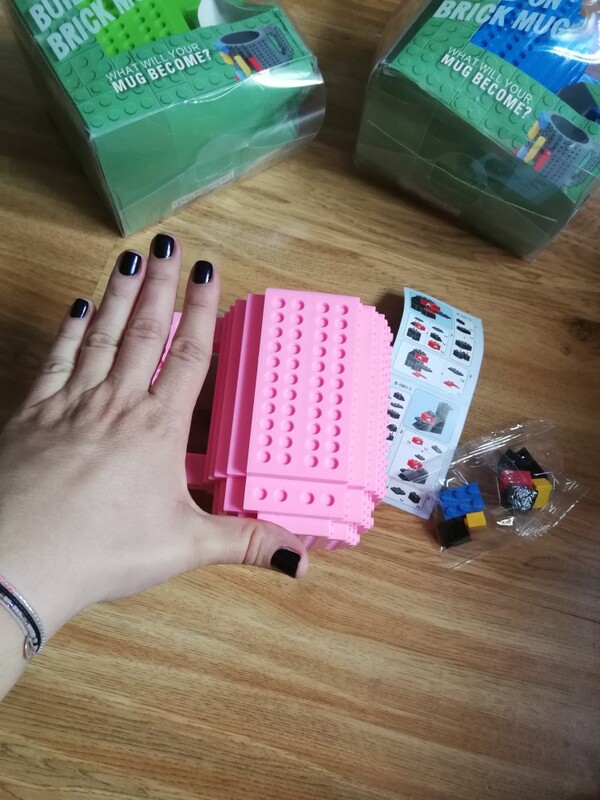 The size for the child is large. 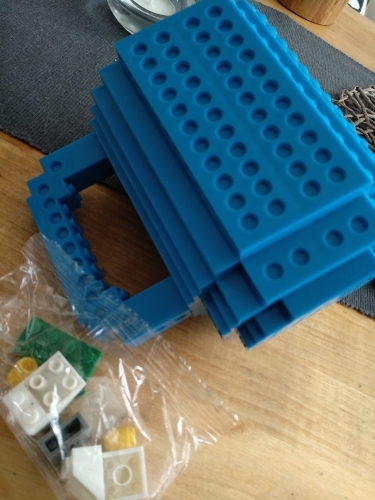 To the bottom of the parts fit badly, wanted wheels to attach but did not work. 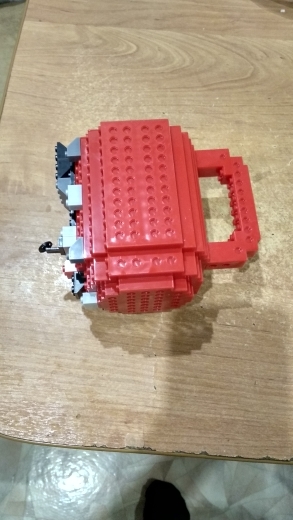 On the sides all ok. 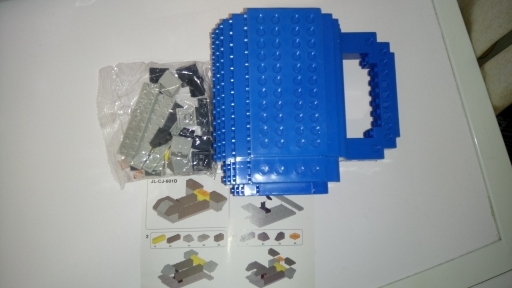 I love it, exactly as in pictures.